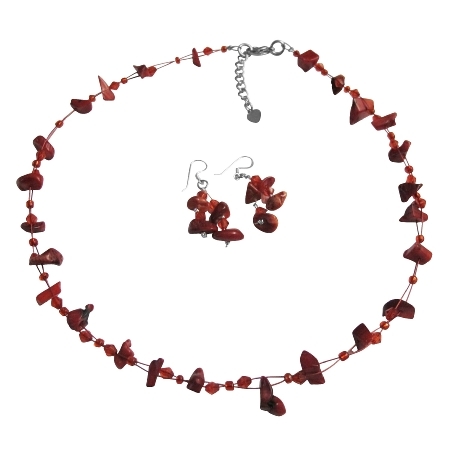 This necklace set is Beautiful Coral Glass Beads Nugget Chips with Immitation Crystals & tiny glass beads in accented floating illusion string. This delicate yet elegant set is adorned. In rich complimentary colors that work magic as they delight the senses! A party on your Neck & ear lobes. festive.